Ozone generators can be used in the treatment of air and water on a domestic or commercial scale. 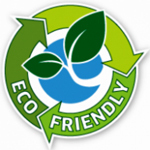 Ozone generators are safe, environmentally friendly and economical to use . An ozone generator produces ozone or O3, one of the strongest known oxidants. Ozone kills pathogenic microorganisms such as viruses, bacteria and fungi making it a very effective method of disinfection. Ozone Generation supplies high quality ozone generators manufactured by Wassertec Ozone Systems South Africa. Wassertec are leaders in ozone generator technology, design and manufacture in South Africa. Ozone Generation are the official agents for Wassertec Ozone Systems in the Gauteng region. Ozone generators used in the treatment of water are a safe, simple and cost-effective water purification solution. Ozone's excellent oxidation and disinfection qualities make it highly suitable for water treatment. Ozone generators can be used in the treatment of potable water (drinking water), the treatment of wastewater and the treatment of swimming pool water to name but a few of the possible applications for ozone. Ozone generators can be used in the treatment of swimming pool water with phenomenal results. Ozonated pool water is exceptionally clear, has no taste and no smell to it. 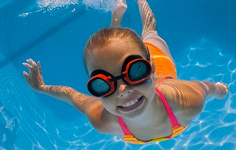 An ozone generator eliminates the need for chlorine in keeping pool water clean and infection free. Ozone from ozone generators or O3 is an industrial oxidizing agent that is 100% effective at purifying air and disinfecting water. Ozone removes smells or odors from the air by breaking down the gases combining together to produce the odor into their basic gas elements. Ozone disinfects water by removing organic contaminants and killing pathogenic microorganisms present in the water. Ozone is a natural gas produced when splitting oxygen or O2 molecules found in air into individual oxygen atoms which re-combine with unaltered oxygen molecules to form O3 or "ozone". This is mostly done using either corona discharge or UV light. Ozone can be manufactured from ambient air or concentrated oxygen and can therefore be applied in domestic and commercial environments alike as well as in industry. Contact Ozone Generation today for more information on our world class ozone generator systems.